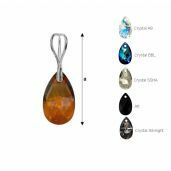 This category includes products made with Swarovski Elements. 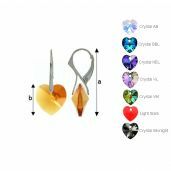 Their pretty cut, light reflexes and intriguing colors make the look of the rings, earrings, necklaces and bracelets with Swarovski crystals even more attractive. Silver jewellery with Swarovski crystals presents pretty both in the evening and during the day.